We provide a wide variety of curricular and extra-curricular drama and dance opportunities for all our students, ranging from clubs and in-house productions and workshops, to West End theatre trips and external performances at professional venues. Our extra-curricular programme is designed both to support the curriculum and to provide an entertaining and powerful learning experience for as many students as possible. We have a range of performance and rehearsal spaces from a fully-equipped lecture theatre to our ‘loft’ rehearsal space, the main hall for theatre in the round and outside spaces for open air or promenade productions. Our Peter Hall Performing Arts Centre opened in 2018, providing a first-class venue for school productions. We have a Theatre Director in Residence who plays a key role in our many drama productions each year, as well as developing our extra-curricular drama provision. Sixth Formers have the opportunity to take the RADA Shakespeare Certificate. This one year, stand-alone drama course complements the wide range of drama activities available here. The course represents an excellent opportunity to develop important skills whatever students’ broader ambitions – public speaking, confidence, spoken diction and clarity, persuasive skills and performance. Students cover acting and technical aspects of theatre (including lighting, sound and effects), and receive an introduction to other skills of the theatre (such as production, direction, stage management, costume and make-up, masks). Dance is offered as an option in the Sixth Form as part of senior games lessons. Our Technical Theatre Company provides opportunities to learn about lighting, sound, set, props and stage management, and use high-end technical kit such as our state-of-the-art lighting desk. Members of this club are able to benefit from using the sound and lighting facilities in the Peter Hall Performing Arts Centre too. Professional theatre practitioners, speakers, performers and workshop specialists visit the School to provide after-school sessions on a broad range of performance styles. Past workshops led by specialists from Cambridge University and from the West End have included stage combat, gothic horror and commedia dell’arte. We run several dance clubs, enabling the study of a range of styles, from contemporary to street jazz, and participate in the annual Bodywork Outreach dance show, with brings together the most talented dancers in the region. In the Sixth Form, students are encouraged to write, produce and direct their own productions in addition to those staged by the department. Each year the Perse Players put on a production, with opportunities for all ages in every aspect of staging a performance. We have staged classics and brave new dramas over recent years. In 2018, Perse Players staged the world famous musical Billy Elliot. Lower and Upper Sixth students take part in multiple productions each year. Their recent shows have include Black Comedy, One Flew Over the Cuckoo’s Nest, Bedfroom Farce, and a Talking Heads evening of monologues. We run regularly literary and drama trips to Dublin and New York for sixth formers. 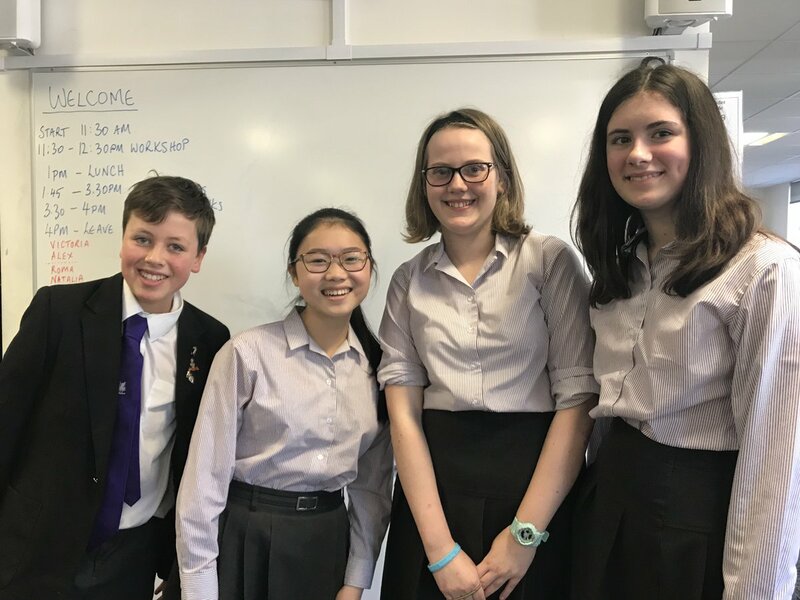 Yesterday four of our Year 9 pupils competed in the @theESU Performing Shakespeare Competition Regional Final at @JHGSHW. It was a wonderful event, with very tough competition from all schools. Well done to Malachy Wallace for achieving runner-up for best performance.